Former United States President George H.W. Bush was admitted to an intensive-care unit at a Houston hospital with pneumonia on Wednesday, according to the president's office. His wife, former first lady Barbara Bush, was also admitted to the same hospital as a precaution after experiencing fatigue and coughing, the office said. Bush is reportedly resting comfortably after doctors performed a procedure to clear his airway, his office said in a statement on Wednesday. 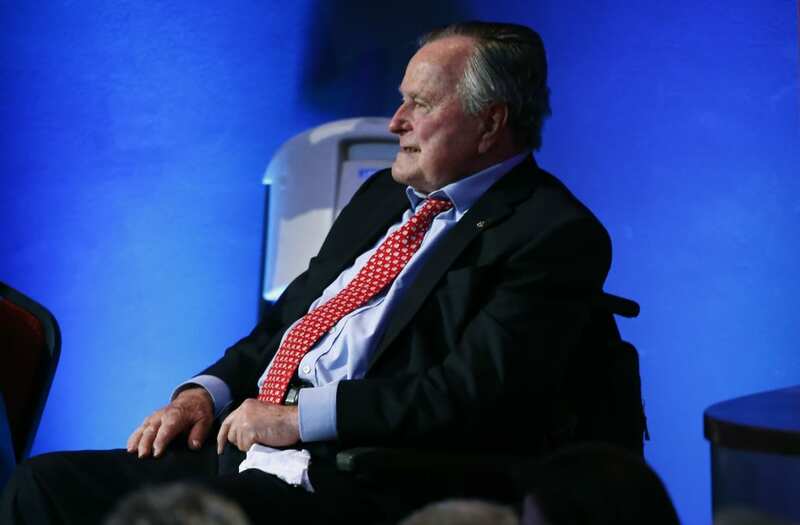 The former president was hospitalized in Houston on Saturday for respiratory problems stemming from pneumonia, according to Bush's spokesman, Jim McGrath. Earlier on Wednesday, the 41st president issued a tongue in cheek note to President-elect Donald Trump explaining why he would be missing the inauguration on Friday. Bush revealed that his doctor told him that sitting outside in January "will likely put me six feet under." George W. Bush is reportedly still planning on being in attendance for the inauguration in Washington D.C.
Bush, who at 92 is the nation's oldest living ex-president, experienced an "acute respiratory problem stemming from pneumonia" and was sedated for the unspecified procedure and will remain in the hospital's intensive-care unit for observation, his office said. Bush and the 91-year-old former first lady marked their 72nd wedding anniversary on Jan. 6. President Obama passed along well wishes to the Bushes during his final press conference on Wednesday, saying he has "been in touch with the Bush family," sends "prayers and love to them."